As evidenced by the comments on yesterday's post about the OnePlus 6 leak, you guys don't like notches at all. Unfortunately, leaked photos had already revealed that OnePlus was at least seriously considering adding one to the OnePlus 6, and the company itself has now confirmed it. Carl Pei, OnePlus's cofounder, spoke with The Verge to explain why the decision was made to add one. As many other manufacturers with notches have said, OnePlus justifies the notch as adding more screen real estate, not taking anything away. The notch is physically smaller than the iPhone X's (OnePlus actually gave measurements of 19.616mm x 7.687mm for its own notch) since there won't be any Face ID-esque technology inside, and it does look relatively small. The leaked photos in question. It looks like they were spot-on. Pei continues by arguing that the OnePlus 6's notch will be different from hastily-implemented ones like blatant copycats' by putting more care and thought into it. His team tested the top 1,000 apps on the Play Store to see which would require a compatibility mode for the notch. 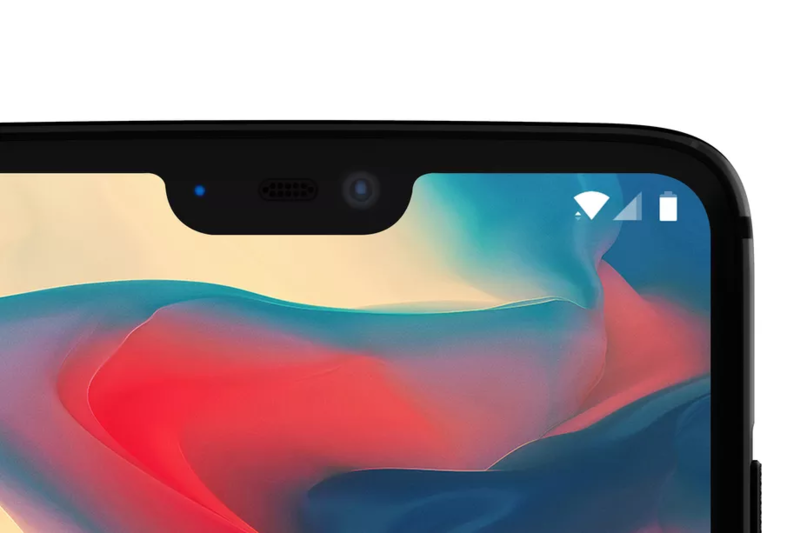 Like Google's doing with Android P, the clock will be moved to the left, and it sounds like OnePlus is planning on putting a black bar around the entire height of the notch when videos are playing to prevent the notch from getting in the way. It seems like OnePlus also wants to ditch software navigation keys for gesture controls, though that'll probably be an option you can choose in settings. Pei admits that this was partially inspired by the iPhone X's, though let's not pretend that the notch isn't. This is all in the name of getting more space on the chin; the iPhone X is the only phone that doesn't have a chin because of its flexible OLED that pushes the ribbon connection to the back, but that makes the phone thicker and a lot more expensive to produce. In other words, the OnePlus 6 will still have a chin of some sort. The OnePlus 6 will reportedly have an extremely high screen-to-body ratio of 90% thanks to the notch. 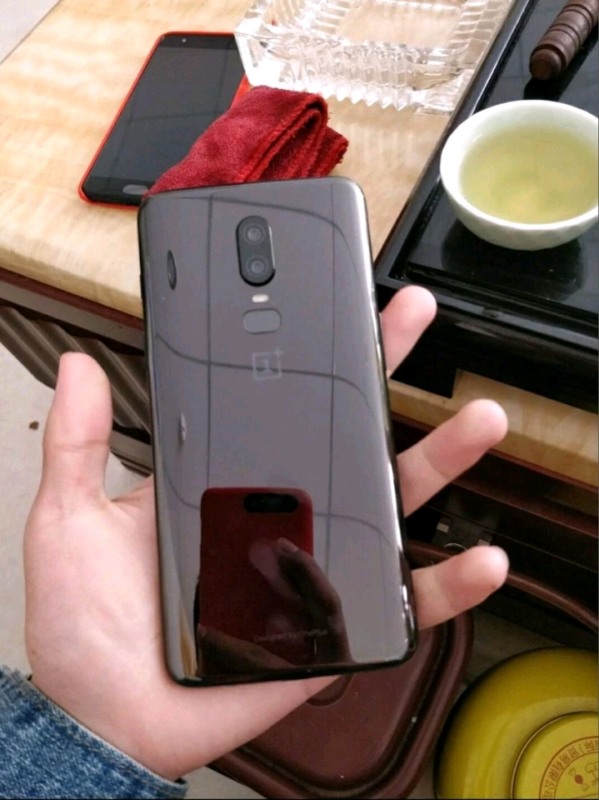 The Verge believes that OnePlus is planning on releasing the 6 (or whatever it's called, OnePlus wouldn't confirm the name) earlier than its traditional June dates given that Pei wanted to discuss the topic at this time, so hopefully we hear more by way of OnePlus soon. 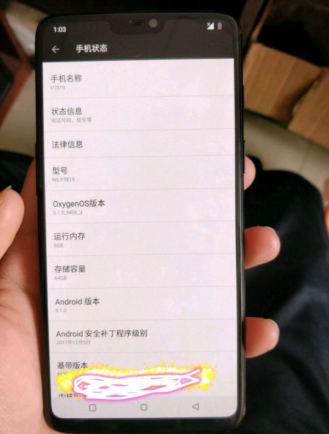 Pete Lau, OnePlus's CEO and other cofounder, took to the OnePlus Forums to provide further justification for this notched display. Most of the things said were essentially reiterations of what Pei said to The Verge, but there are some new pieces of information presented here. Lau claims that the display chosen for the OnePlus 6 led the pack in terms of concerns such as brightness, chromatic accuracy, and color range, and it just happened to also have a notch. Additionally, it's said that OnePlus went with this screen partly because there's a strong supply for this particular unit, avoiding risks of shortages. However, the compatibility mode previously mentioned by Pei apparently only applies to apps in landscape mode, which isn't ideal for those apps we use in portrait that have UI elements up top. We'll have to wait and see if the notch is really as well-optimized as OnePlus is claiming.